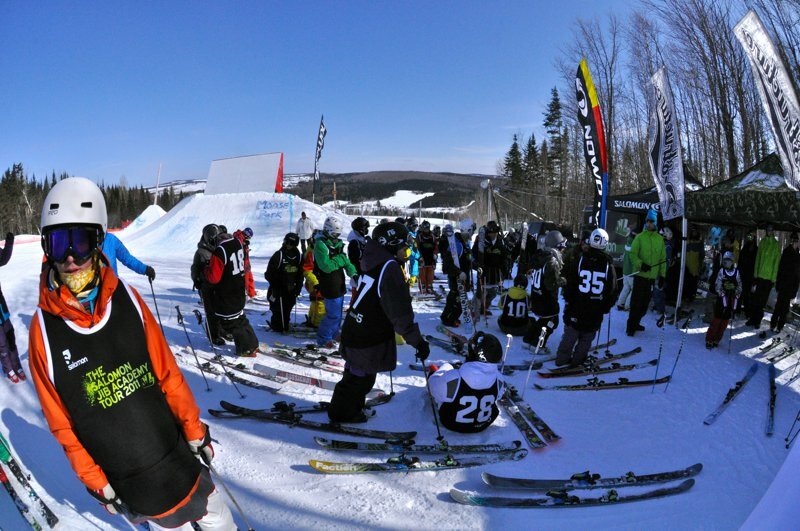 The first stop of the Salomon Jib Academy Tour 2011 went off last weekend at Mont-Orignal, Quebec with geat sunny weather, but a bit of wind chill to remind us it was still February. 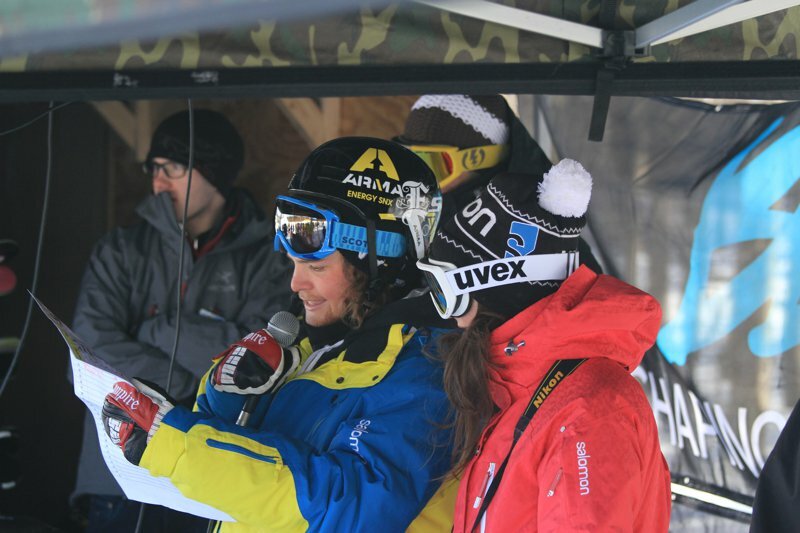 Salomon team rider Alexis Godbout came out to coach the Jib Academy participants along with the local crew: Antoine Bourassa, Seb Eaves, Jen Crichton and I, as well as Phil Lavall&eacute; from D-Structure. Salomon even drove up their pick-up truck full of demos to the middle of the park! Seb Eaves, Alexis Godbout, Etienne Bonneau, Jen Crichton and Phil Lavall&eacute;. 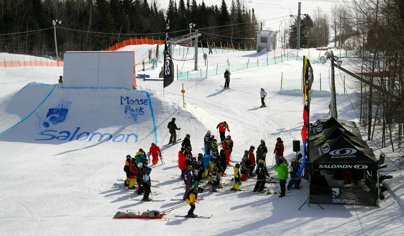 Just like every year, the Moose Park at Mont-Orignal was outstanding. 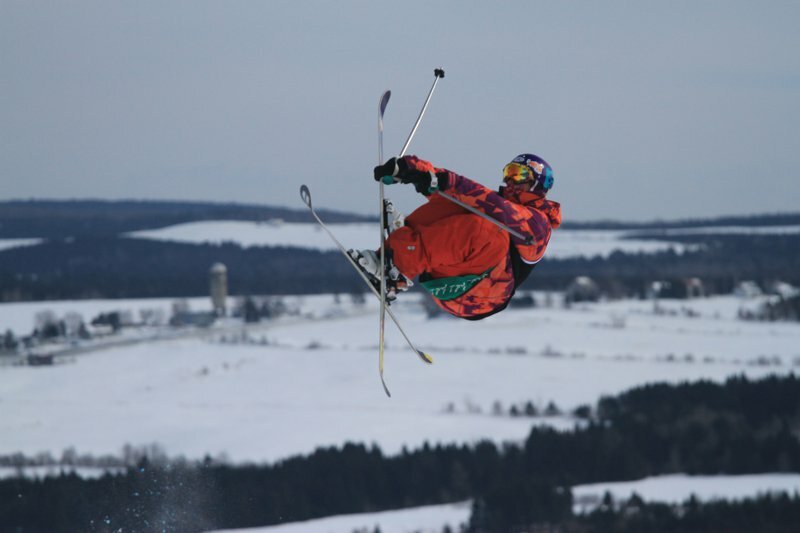 The biggest jumps in East Quebec as well as too many rails and jibs to count! After a quick warm-up (everyone was eager to go shred!) we started with our morning jam and quickly noticed some outstanding talent. High-level tricks were thrown all day with a few doubles on the jumps and switch-up&rsquo;s everywhere on the rails. 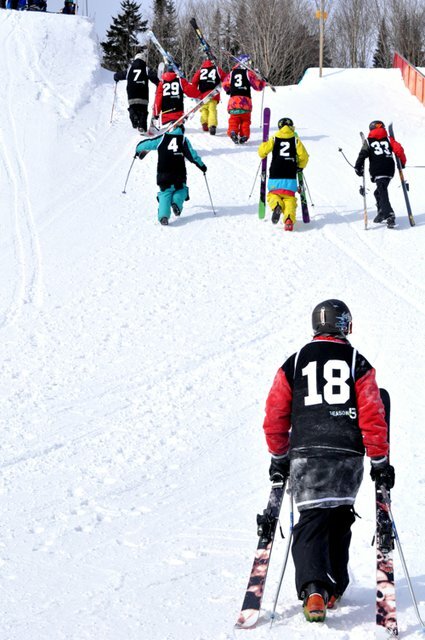 The two jams held throughout the day went smoothly and coaches determined the top 15 riders for the final jam session. Alexis Godbout and Salomon's Virginie Tisseau the announcing Top 15 for finals. 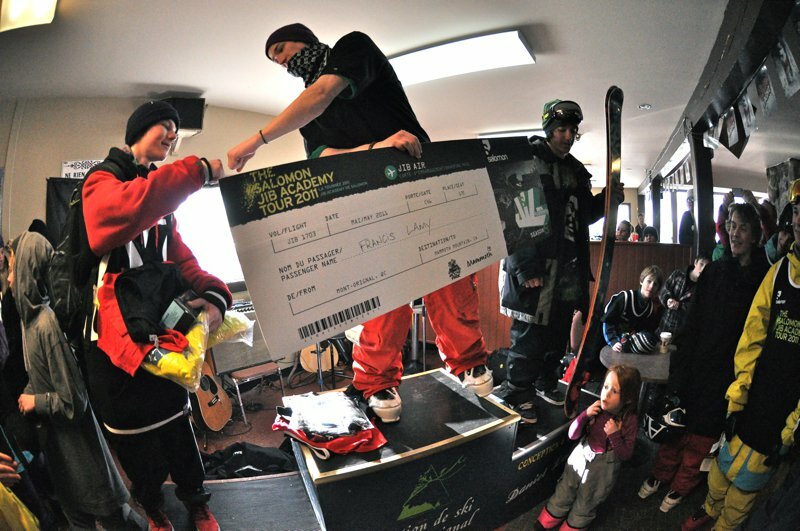 The finals consisted of a two-run format on the jumps and two runs on the rails. Although a few of the riders felt the pressure during the finals, many impressed the judges with sick tricks and impressive spins. In the end, it was Francis Lamy who will be joining the Salomon pro team in Mammoth this May for Salomon Jib Academy Finals thanks to his solid consistency and tricks on the jumps and rails. 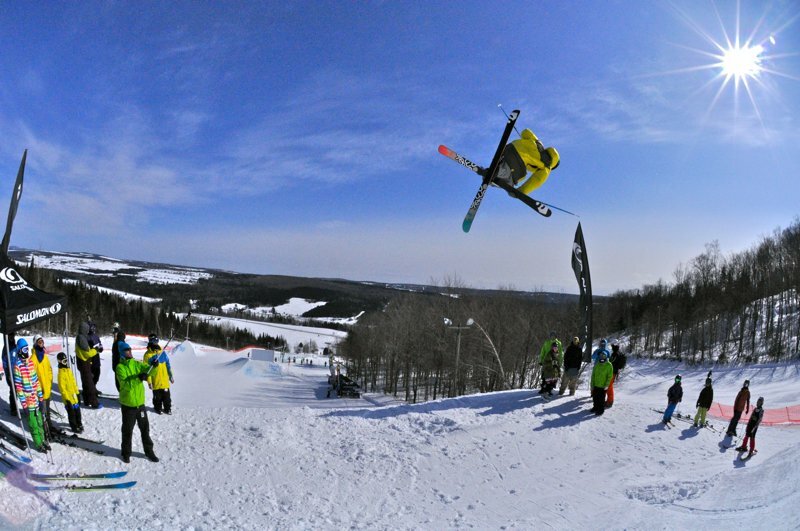 Special shout-out to Emilie Seguin who was the only girl ripping it up in the park! Jibacademy Moose Park 2011 from vincent ruel-coté on Vimeo. The SHIFT binding is flawless on the downhill. We had some minor quibbles with the touring performance but it is essentially a refined, high-quality touring binding that performs impeccably well both up and down. The Finland based Amer Sports group, which owns brands including Armada, Salomon, Atomic, and Arcteryx has confirmed with multiple news sources that they have been approached regarding a $5.3 billion all-cash takeover by a Chinese group.